These high-quality bottom loading arms can give your operation a variety of benefits that simply cannot be achieved with top loading systems. Liquip offers some of the best equipment in the industry for loading and unloading petroleum products, chemical, and liquefied gases. For instance, bottom loading can lead to improved safety since the operator is always on the ground. Otherwise, falling off of the vehicle is a constant threat. 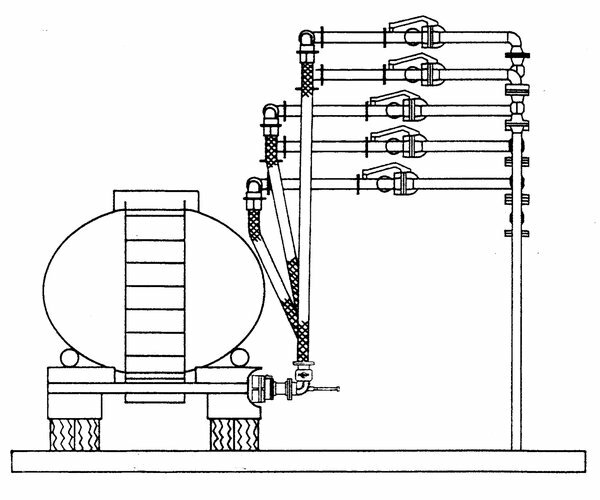 Bottom loading also creates less turbulence in tank compartments which makes loading and unloading procedures far less dangerous by lessening the generation of static electricity. Bottom loading can also increase loading efficiency by getting multiple compartments loaded simultaneously. This gets your tanks filled faster. These Liquip loading arms are also easier to assemble and cheaper to build since they allow for quicker connections. This leads to faster overall loading and unloading time. They can be connected via Ccam and groove fitting, dry disconnect, API coupler, or Acme threaded hammer union. These bottom loading systems can also be adapted to recover displaced vapors during the loading process This helps reduce personal and environmental hazards, and it makes sure that every bit of the transferred products makes it into the compartment. Every drop counts. 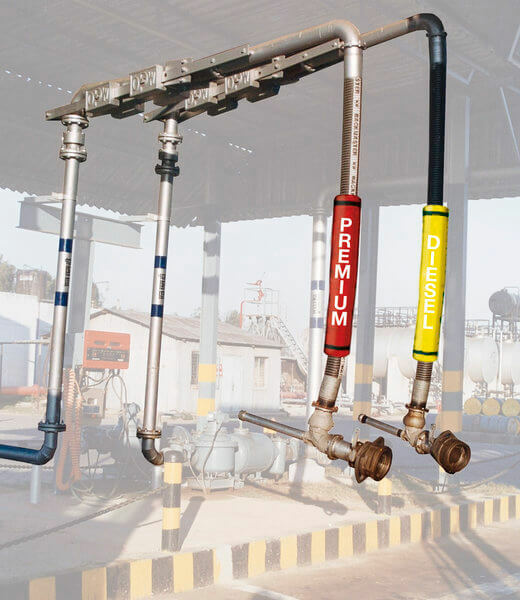 Liquip offers three types of bottom loading arms. These arms are fitted with a two-meter length drop hose. Varying loading arm heights can be accommodated with aluminum or steel drop spools. Each of these arms comes equipped with Liquip’s signature “velvet touch” technology. Arm-Tex is a proud distributor of the industry’s leading brands. If you want to know what kind of loading system or customizations would best serve your operation, you can contact an Arm-Tex expert. With over 25 years in this industry, we can help you increase the efficiency and safety of your operation and provide any parts or technical manuals you might need to repair an arm that you still have in service.